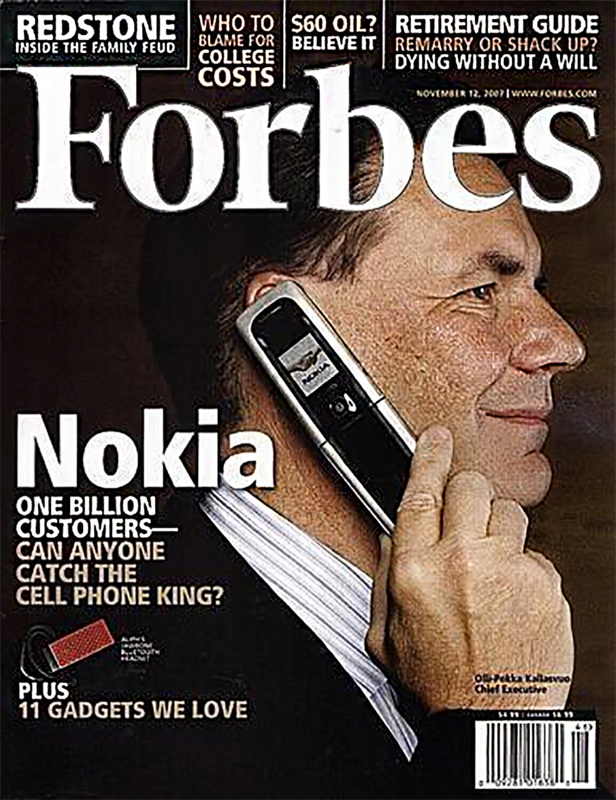 Exactly 10 years ago, on November the 12th, 2007, Forbes magazine run a front page featuring Nokia’s (then) CEO Olli-Pekka Kallasvuo holding a Nokia series 6xxx flip phone. The title on the front page reads: Nokia, one billion customers – can anyone catch the cell phone king? This Fobres’ cover is interesting because it shows that no one is really too big to fail. In 2007, Nokia was the undisputed king on the cell phone market. Because of its dominance, the company was inert to change and refused to acknowledge the shift the industry was making. In 2007, Apple announced the original iPhone, and 10 years later, the iPhone is the most popular and recognizable smartphone on the planet, while Nokia exited the market selling its phone business to Microsoft.